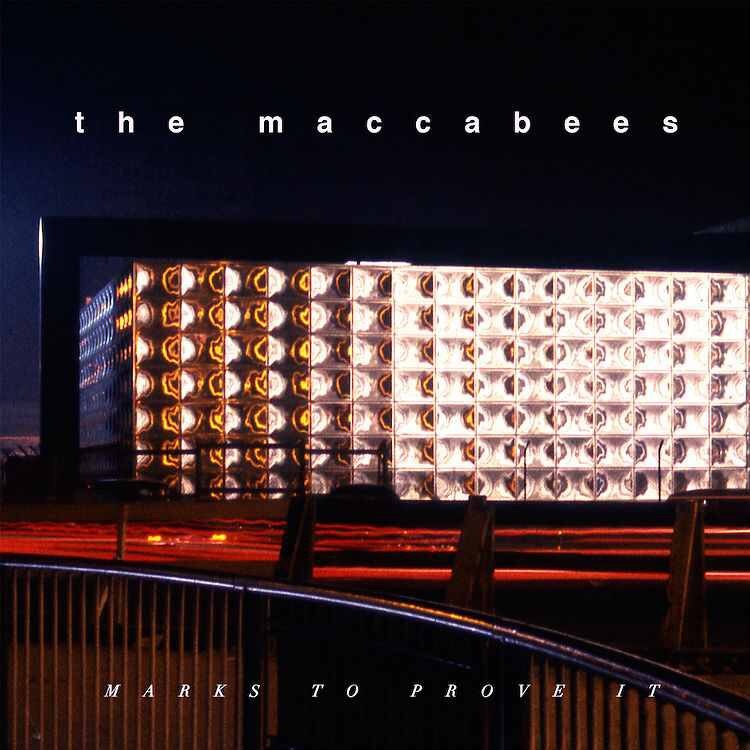 Album Review: The Maccabees, Marks To Prove It – music waffle. By all accounts the birth of this album was something of a tortuous affair, involving being holed up in Elephant and Castle for three years. In birthing terms it took gas and air, pethidine, an epidural and a sturdy pair of forceps to get the new creation out, but it was definitely worth the pain, being their first number one album. I first met The Maccabees at Brixton Academy when supporting Kasabian last December. There was a bit of a story to that night (read about it here) but they managed to defrost my overly stressed demeanour. They’re a sensitive bunch. The most likely comparison I can find is that at times I’m reminded of Travis, with decidedly more guitar oomph. The three big tracks are the rumbustuous title track Marks To Prove It, Spit It Out, which has a touch of Radiohead with its edge of madness vocal, and Something Like Happiness, a purely joyous singalong. But the other tracks are growers and the tone of Orlando Weeks’s voice hooks you in, as he comes across as a bit too delicate for this nasty music business malarkey. There are some engaging lyrics. In Kamakura, “He’s given a bloody nose to the best friend he knows. The only times he’s cried since he was seven years old. Your best friends forgive you. Your best friends forget you get old.” And in Slow Sun, “Waiting up for you, Cup of tea for you, There on the sofa, That’s real love.” Since the days of Boy George, a cup of Rosie Lee has been more rock and roll than any other beverage. No disrespect to Lianne La Havas, who the band beat to Number One, but this is just the sort of thing that I like to see topping the album charts. Your archetypal British indie “The” band, who’ve served their dues, write their own songs and play their own instruments. And Lianne’s day will come. Previous EP Review: Elbow, Lost Worker Bee. Next Weekly Photo Challenge: Beneath My Feet.